Sterling Silver 925 Fine elegant Belcher design link neck chain in 16 inch length (410mm). Classic belcher style necklace in approx 1.2mm gauge fine Oval links. 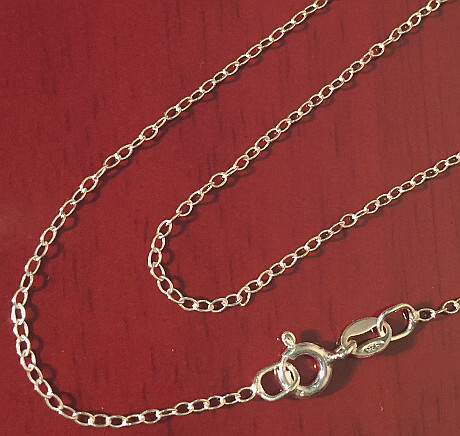 Sterling 925 Silver trace chain supplied with a secure Bolt Ring Clasp fastener. Always popular Belcher Fine link Chain in 410mm fitting length.